Niger or the Niger ( or ; [niʒɛʁ]), officially the Republic of the Niger, is a landlocked country in Western Africa, named after the Niger River. Niger is bordered by Libya to the northeast, Chad to the east, Nigeria and Benin to the south, Burkina Faso and Mali to the west, and Algeria to the northwest. Niger covers a land area of almost 1,270,000 km2, making it the largest country in West Africa, with over 80 percent of its land area covered by the Sahara Desert. The country's predominantly Islamic population of about 20 million is mostly clustered in the far south and west of the country. The capital city is Niamey, located in the far-southwest corner of Niger. Niger is a developing country, and is consistently one of the lowest-ranked in the United Nations' Human Development Index (HDI); it was ranked last at 188th for 2014. Much of the non-desert portions of the country are threatened by periodic drought and desertification. The economy is concentrated around subsistence and some export agriculture clustered in the more fertile south, and the export of raw materials, especially uranium ore. Niger faces serious challenges to development due to its landlocked position, desert terrain, inefficient agriculture, high fertility rates and resulting overpopulation without birth control, poor education and poverty of its people, lack of infrastructure, poor health care, and environmental degradation. Nigerien society reflects a diversity drawn from the long independent histories of its several ethnic groups and regions and their relatively short period living in a single state. 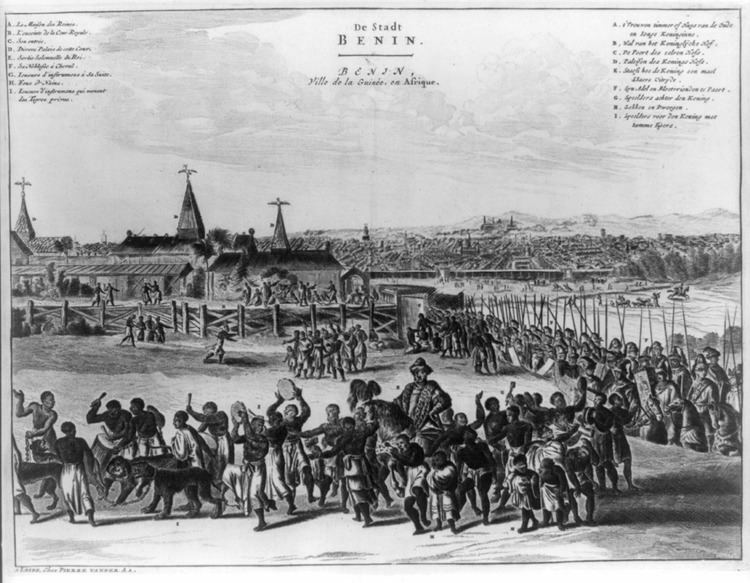 Historically, what is now Niger has been on the fringes of several large states. Since independence, Nigeriens have lived under five constitutions and three periods of military rule. Following a military coup in 2010, Niger has become a democratic, multi-party state. A majority live in rural areas, and have little access to advanced education. 71.3% of the population cannot read as of 2015, one of the lowest literacy rates in the world. Early human settlement in Niger is evidenced by numerous archaeological remains. In prehistoric times, the climate of the Sahara (Tenere desert in Niger) was wet and provided favorable conditions for agriculture and livestock herding in a fertile grassland environment five thousand years ago. In 2005–06, a graveyard in the Tenere desert was discovered by Paul Sereno, a paleontologist from the University of Chicago. His team discovered 5,000-year-old remains of a woman and two children in the Tenere Desert. The evidence along with remains of animals that do not typically live in desert are among the strongest evidence of the 'green' Sahara in Niger. It is believed that progressive desertification around 5000 BCE pushed sedentary populations to the south and south-east (Lake Chad). By at least the 5th century BCE, Niger became an area of trans-Saharan trade, led by the Berber tribes from the north, using camels as an adapted mean of transportation through the desert. This trade has made Agadez a pivotal place of the trans-Saharan trade. This mobility, which would continue in waves for several centuries, was accompanied with further migration to the south and interbreeding between southern black and northern white populations. It was also aided by the introduction of Islam to the region at the end of the 7th century. Several empires and kingdoms also flourished during this era up to the beginning of colonization in Africa. The Songhai Empire was an empire bearing the name of its main ethnic group, Songhai or Sonrai, and located in western Africa on the bend of the Niger River in present-day Niger, Mali and Burkina Faso. In the 7th century, Songhai tribes settled down north of modern-day Niamey and founded the Songhai city-states of Koukia and Gao. By the 11th century, Gao had become the capital of the Songhai Empire. From 1000 to 1325, The Songhai Empire prospered and managed to maintain peace with its neighboring empires including the Mali Empire. In 1325, the Songhai Empire was conquered by the Mali Empire, but was freed in 1335 by prince Ali Kolen and his brother, Songhai princes held captive by Moussa Kankan, the ruler of the Mali Empire. From the mid-15th to the late 16th century, Songhai was one of the largest Islamic empires in history. Between the Niger River and the Lake Chad lay a fertile area and Hausa kingdoms. These kingdoms flourished from the mid-14th century up until the early 19th century when they were conquered by Usman dan Fodio, founder of the Sokoto Empire. The Hausa kingdoms were not a compact entity but several federations of kingdoms more or less independent of each other. Their organization was somewhat democratic: the Hausa kings were elected by the notables of the country and could be removed by the latter. The Hausa Kingdoms began as seven states founded according to the Bayajidda legend by the six sons of Bawo. Bawo was the unique son of the hausa queen Daurama and Bayajidda or (Abu Yazid by certain Nigerien historians) who came from Baghdad. The seven original hausa states were: Daoura (state of queen Daurama), Kano, Rano, Zaria, Gobir, Katsena and Biram. The armed forces are composed of approximately 12,900 personnel, including 3,700 gendarmes, 3200 national guards, 300 air force personnel, and 6,000 army personnel. The armed forces of Niger have been involved several military coups over the years with the most recent in 2010. Niger's armed forces have a long history of military cooperation with France and the United States. As of 2013, Niamey is home to a U.S. drone base. Niger is divided into 7 Regions and one capital district. These Regions are subdivided into 36 departments. The 36 Departments are currently broken down into Communes of varying types. As of 2006 there were 265 communes, including communes urbaines (Urban Communes: as subdivisions of major cities), communes rurales (Rural Communes), in sparsely populated areas and postes administratifs (Administrative Posts) for largely uninhabited desert areas or military zones. In December 2005, it was announced that Niger had received 100% multilateral debt relief from the IMF, which translates into the forgiveness of approximately $86 million USD in debts to the IMF, excluding the remaining assistance under HIPC. Nearly half of the government's budget is derived from foreign donor resources. Future growth may be sustained by exploitation of oil, gold, coal, and other mineral resources. Uranium prices have recovered somewhat in the last few years. A drought and locust infestation in 2005 led to food shortages for as many as 2.5 million Nigeriens. The agricultural economy is based largely upon internal markets, subsistence agriculture, and the export of raw commodities: foodstuffs and cattle to neighbors. Foreign exchange earnings from livestock, although difficult to quantify, are considered the second source of export revenue behind mining and oil exports. Actual exports far exceed official statistics, which often fail to detect large herds of animals informally crossing into Nigeria. Some hides and skins are exported, and some are transformed into handicrafts. Niger's agricultural and livestock sectors are the mainstay of all but 18% of the population. 14% of Niger's GDP is generated by livestock production (camels, goats, sheep and cattle), said to support 29% of the population. Thus 53% of the population is actively involved in crop production. The 15% of Niger's land that is arable is found mainly along its southern border with Nigeria. In these areas, Pearl millet, sorghum, and cassava are the principal rain-fed subsistence crops. Irrigated rice for internal consumption is grown in parts of the Niger River valley in the west. While expensive, it has, since the devaluation of the CFA franc, sold for below the price of imported rice, encouraging additional production. 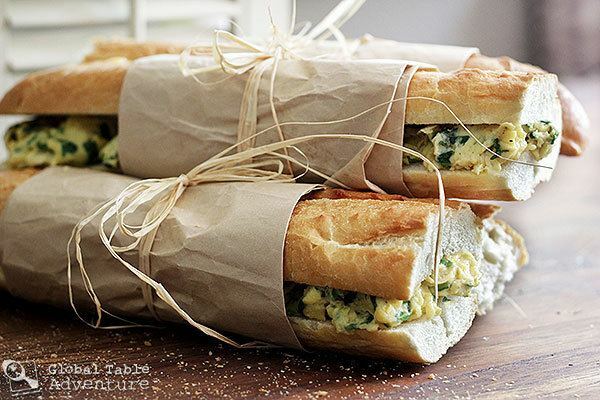 Cowpeas and onions are grown for commercial export, as are small quantities of garlic, peppers, potatoes, and wheat. Oasis farming in small patches of the north of the country produces onions, dates, and some market vegetables for export. But for the most part, rural residents engaged in crop tending are clustered in the south centre and south west of the nation, in those areas (the Sahel) which can expect to receive between 300 to 600 mm (12 to 24 in) of rainfall annually. A small area in the southern tip of the nation, surrounding Gaya can expect to receive 700 to 900 mm (28 to 35 in) or rainfall. Northern areas which support crops, such as the southern portions of the Aïr Massif and the Kaouar oasis, rely upon oases and a slight increase in rainfall due to mountain effects. Large portions of the northwest and far east of the nation, while within the Sahara desert, see just enough seasonal rainfall to support semi-nomadic animal husbandry. 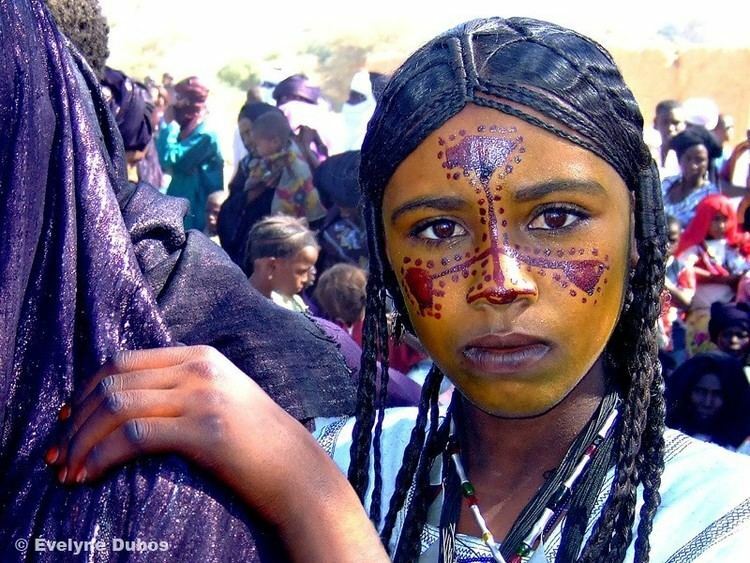 The populations of these areas, mostly Tuareg, Wodaabe – Fula, and Toubou, travel south (a process called transhumance) to pasture and sell animals in the dry season, north into the Sahara in the brief rainy season. Rainfall varies and when it is insufficient, Niger has difficulty feeding its population and must rely on grain purchases and food aid to meet food requirements. Rains, as in much of the Sahel, have been marked by annual variability. This has been especially true in the 20th century, with the most severe drought on record beginning in the late 1960s and lasting, with one break, well into the 1980s. The long-term effect of this, especially to pastoralist populations, remains in the 21st century, with those communities which rely upon cattle, sheep, and camels husbandry losing entire herds more than once during this period. Recent rains remain variable. For instance, the rains in 2000 were not good, while those in 2001 were plentiful and well distributed. Soils that have become degraded, for example by intensive cereal production, cover 50 per cent of Niger's land. Laterite soils have a high clay content, which means they have higher Cation Exchange Capacity and water-holding capacity than sandy soils. If laterite soils become degraded, a hard crust can form on the surface, which hinders water infiltration and the emergence of seedlings. It is possible to rehabilitate such soils, using a system called the Bioreclamation of Degraded Lands. This involves using indigenous water-harvesting methods (such as planting pits and trenches), applying animal and plant residues, and planting high-value fruit trees and indigenous vegetable crops that are tolerant of drought conditions. The International Crops Research Institute for the Semi-Arid Tropics (ICRISAT) has employed this system to rehabilitate degraded laterite soils in Niger and increase smallholder farmers' incomes. Trials have demonstrated that a 200 m2 (2,153 sq ft) plot can yield an income of around US$100, which is what men traditionally earn from millet production per hectare (10000m²). As women are often given degraded soils, using this practice has helped to improve livelihoods for women in Niger. The Kandadji Dam on the Niger River, whose construction started in August 2008, is expected to improve agricultural production in the Tillaberi Department by providing water for the irrigation of 6,000 hectares initially and of 45,000 hectares by 2034. As one of the Sahelian nations in West Africa, Niger has faced several droughts which led to food shortages and, in some cases, famines since its independence in 1963. This includes a series of droughts in the 1970s and 1980s and more recently in 2005–2006 and again in 2010. The existence of widespread famine in 2005–2006 was debated by the government of Niger as well some local NGOs. The Niger mining industry is the main source of national exports, of which uranium is the largest export. Niger has been a uranium exporter since the 1960s and has had substantial export earnings and rapid economic growth during the 1960s and 1970s. The persistent uranium price slump has brought lower revenues for Niger's uranium sector, although it still provides 72% of national export proceeds. When the uranium-led boom ended in the early 1980s the economy stagnated, and new investment since then has been limited. Niger's two uranium mines—SOMAIR's open pit mine and COMINAK's underground mine—are owned by a French-led consortium and operated by French company Areva. As of 2007, many licences have been sold to other companies from countries such as India, China, Canada and Australia in order to exploit new deposits. In 2013, the government of Niger sought to increase its uranium revenue by subjecting the two mining companies to a 2006 Mining Law. The government argued that the application of the new law will balance an otherwise unfavorable partnership between the government and Areva. The company resisted the application of the new law that it feared would jeopardize the financial health of the companies, citing declining market uranium prices and unfavorable market conditions. In 2014, following nearly a year long negotiation with the government of Niger, Areva agreed to the application of 2006 Mining Law of Niger, which would increase the government's uranium revenues from 5 to 12%. 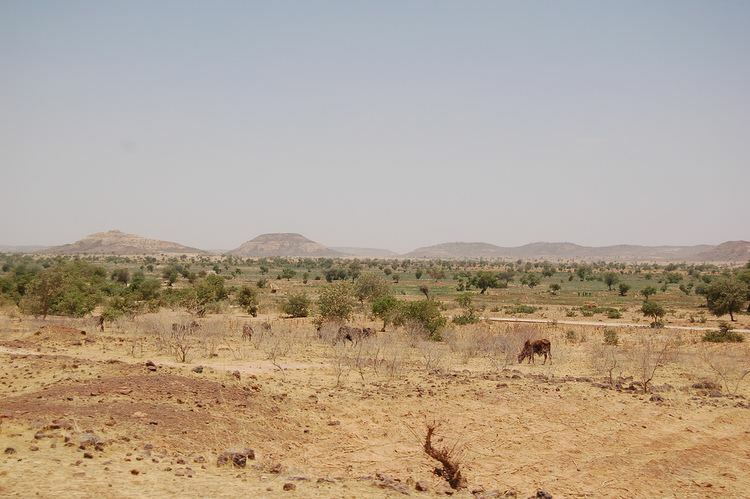 In addition to uranium, exploitable deposits of gold are known to exist in Niger in the region between the Niger River and the border with Burkina Faso. In 2004, the first Nigerien gold ingot was produced from the Samira Hill Gold Mine, in Tera Department. The Samira Hill Gold Mine thus became the first commercial gold production in the country. The reserves at the location were estimated at 10,073,626 tons at an average grade of 2.21 grams (0.078 oz) per ton from which 19,200 kilograms (42,300 lb) will be recovered over a six-year mine life. Other gold deposits are believed to be in nearby areas known as the "Samira Horizon", which is located between Gotheye and Ouallam. SONICHAR (Société Nigerienne de Charbon) in Tchirozerine (north of Agadez) extracts coal from an open pit and fuels an electricity generating plant that supplies energy to the uranium mines. Based on 2012 reports by the government of Niger, 246016 tons of coal were extracted by SONICHAR in 2011. There are additional coal deposits to the south and west that are of a higher quality and may be exploitable. Substantial deposits of phosphates, coal, iron, limestone, and gypsum have also been found in Niger. The history of oil prospecting and discovery goes back to the independence era with the first discovery of Tintouma oil field in Madama in 1975. It is the Agadem basin that has attracted much attention since 1970 with Texaco and then Esso prospecting in the basin until 1980. Exploration permits on the same basin were held successively by Elf aquitaine (1980–1985), Esso-Elf (1985–1998), Esso (1998–2002) and Esso-Petronas (2002–2006). While the reserves were estimated at 324 millions barrels for oil and 10 billion m3 for gas, Esso-Petronas relinquished the permit because it deemed the quantities too small for production. With the sudden increase in oil price, this assessment was no longer true by 2008. the government transferred the Agadem block rights to CNPC. Niger announced that in exchange for the US$5 billion investment, the Chinese company would build wells, 11 of which would open by 2012, a 20,000-barrel-per-day (3,200 m3/d) refinery near Zinder and a pipeline out of the nation. The government estimates the area has reserves of 324 million barrels (51,500,000 m3), and is seeking further oil in the Tenere Desert and near Bilma. Niger began producing its first barrels of oil in 2011. The economic competitiveness created by the January 1994 devaluation of the Communauté Financière Africaine (CFA) franc contributed to an annual average economic growth of 3.5% throughout the mid-1990s. But the economy stagnated due to the sharp reduction in foreign aid in 1999 (which gradually resumed in 2000) and poor rains in 2000. Reflecting the importance of the agricultural sector, the return of good rains was the primary factor underlying economic growth of 5.1% in 2000, 3.1% in 2001, 6.0% in 2002, and 3.0% in 2003. In recent years, the Government of Niger drafted revisions to the investment code (1997 and 2000), petroleum code (1992), and mining code (1993), all with attractive terms for investors. The present government actively seeks foreign private investment and considers it key to restoring economic growth and development. With the assistance of the United Nations Development Programme (UNDP), it has undertaken a concerted effort to revitalize the private sector. In January 2000, Niger's newly elected government inherited serious financial and economic problems including a virtually empty treasury, past-due salaries (11 months of unpaid salaries) and scholarship payments, increased debt, reduced revenue performance, and lower public investment. In December 2000, Niger qualified for enhanced debt relief under the International Monetary Fund program for Highly Indebted Poor Countries and concluded an agreement with the Fund on a Poverty Reduction and Growth Facility (PRGF). In addition to changes in the budgetary process and public finances, the new government has pursued economic restructuring towards the IMF promoted privatization model. This has included the privatization of water distribution and telecommunications and the removal of price protections for petroleum products, allowing prices to be set by world market prices. Further privatizations of public enterprises are in the works. In its effort to comply with the IMF's Poverty Reduction and Growth Facility plan, the government is also taking action to reduce corruption and, as the result of a participatory process encompassing civil society, has devised a Poverty Reduction Strategy Plan that focuses on improving health, primary education, rural infrastructure, and judicial restructuring. A long planned privatization of the Nigerien power company, NIGELEC, failed in 2001 and again in 2003 due to a lack of buyers. SONITEL, the nation's telephone operator which was separated from the post office and privatised in 2001, was renationalised in 2009. Critics have argued that the obligations to creditor institutions and governments have locked Niger into a process of trade liberalization that is harmful for small farmers and in particular, rural women. Transport is crucial to the economy and culture of this vast landlocked nation, with cities separated by huge uninhabited deserts, mountain ranges, and other natural features. Niger's transport system was little developed during the colonial period (1899–1960), relying upon animal transport, human transport, and limited river transport in the far south west and south east. No railways were constructed in the colonial period. Construction of a network of paved roads linking major cities began after the independence reaching its heights during the uranium boom in the 1970s and 1980s. Primary or paved road systems are limited to bigger cities or connection between major cities. Road connections or networks in rural areas are mostly unpaved, all-weather laterite surfaces to grated dirt or sand plowed roads with various degrees of maintenance. In 2012, there was 19,675 kilometres (12,225 mi) of road network throughout Niger, of which 4,225 kilometres (2,625 mi) were paved. The Niger River, which crosses the southwestern part of the country, is unsuitable for river transport of any large scale, as it lacks depth for most of the year, and is broken by rapids at many spots. Camel caravan transport was historically important in the Sahara desert and Sahel regions which cover most of the north. Air transport is mainly concentrated in Niamey. Niger's only international airport is Diori Hamani International Airport, is located in the capital, Niamey. Other airports in Niger include the Mano Dayak International Airport in Agadez city and Zinder Airport in Zinder city but as of January 2015, they were not regularly serviced by any carriers. In 2014, construction for the railway extension connecting Niamey (Niger) to Cotonou via Parakou (Benin) began and is expected to be completed by 2016. It includes the construction of 574 kilometres (357 mi) new railway from Niamey to connect to the existing line in Parakou (Benin). Besides Niamey, the railway line will go through Dosso city and Gaya. As of 2015, the population of Niger was 19,896,965. Expanding from a population of 1.7 million in 1960, Niger's population has rapidly increased with a current growth rate of 3.3% (7.1 children per mother). A 2005 study stated that over 800,000 people (nearly 8 per cent of the population) in Niger are enslaved. Niger has a wide variety of ethnic groups as in most West African countries. The ethnic makeup of Niger is as follows: Hausa (53.0%), Zarma-Sonrai (21.2%), Tuareg (10.4%), Fula (French: Peuls or Peulhs; Fula: Fulɓe) (9.9%), Kanuri Manga (4.4%), Tubu (0.4%), Arab (0.3%), Gourmantche (0.3%), other (0.2%). Niger is a secular country and separation of state and religion is guaranteed by Articles 3 and 175 of the 2010 Constitution, which dictate that future amendments or revisions may not modify the secular nature of the republic of Niger. Religious freedom is protected by Article 30 of the same constitution. Islam, widespread in the region since the 10th century, has greatly shaped the culture and morals of the people of Niger. Islam is the most dominant religion, practiced by 80% of the population. The second most practiced religion is Christianity; this by less than 20% of the population. Christianity was established earlier in the country by missionaries during the French colonial years. Other urban Christian expatriate communities from Europe and West Africa are also presented. Religious persecution is rare in Niger which is ranked last (#50) on the World Watch List for severity of persecution that Christians face for actively pursuing their faith. Approximately 59 percent of Muslims in Niger are Sunni, 7 percent are Shi'a, 6% are Ahmadiyya and 20% Non-denominational. Islam was spread into what is now Niger beginning in the 15th century, by both the expansion of the Songhai Empire in the west, and the influence of the Trans-Saharan trade traveling from the Maghreb and Egypt. Tuareg expansion from the north, culminating in their seizure of the far eastern oases from the Kanem-Bornu Empire in the 17th centuries, spread distinctively Berber practices. Both Zarma and Hausa areas were greatly influenced by the 18th and 19th century Fula led Sufi brotherhoods, most notably the Sokoto Caliphate (in today's Nigeria). Modern Muslim practice in Niger is often tied to the Tijaniya Sufi brotherhoods, although there are small minority groups tied to Hammallism and Nyassist Sufi orders in the west, and the Sanusiya in the far northeast. A small percentage of the population practices traditional indigenous religious beliefs. The numbers of Animist practitioners are a point of contention. As recently as the late 19th century, much of the south center of the nation was unreached by Islam, and the conversion of some rural areas has been only partial. 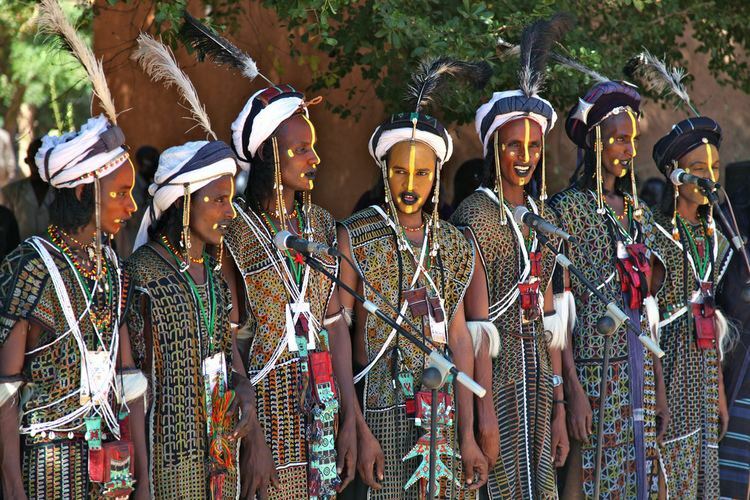 There are still areas where animist based festivals and traditions (such as the Bori religion) are practiced by syncretic Muslim communities (in some Hausa areas as well as among some Toubou and Wodaabe pastoralists), as opposed to several small communities who maintain their pre-Islamic religion. These include the Hausa-speaking Maouri (or Azna, the Hausa word for "pagan") community in Dogondoutci in the south-southwest and the Kanuri speaking Manga near Zinder, both of whom practice variations of the pre-Islamic Hausa Maguzawa religion. There are also some tiny Boudouma and Songhay animist communities in the southwest. Niger also has the highest fertility rate in the world (7.03 births per woman according to 2013 estimates); this means that nearly half (49%) of the Nigerien population is under age 15. Niger has the 11th highest maternal mortality rate in the world at 820 deaths/100,000 live births. There were 3 physicians and 22 nurses per 100,000 persons in 2006.